For more information please look at our Auto iPacket... it really has so much information on the exact equipment on the one you're looking at. Call or email us for any further questions about an unit.. Just give us the stock number when you call  610.436.0600.Blue Metallic 2019 Land Rover Range Rover Sport HSEBluetooth / Handsfree Calling.4WD 8-Speed Automatic 3.0L V6 SuperchargedFor more information please look at our Auto iPacket... it really has so much information or exactly the equipment on every car. Call or email us for any further questions about an unit.. Just give us the stock number when you call. 610.436.0600. 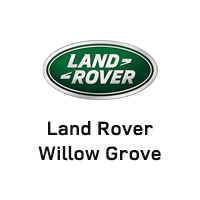 Why Buy a Range Rover Sport at Land Rover Willow Grove near Doylestown? If an older model is of interest, explore our selection of Certified Pre-Owned Land Rover Range Rover Sport models, or expand your search by exploring other models like the Land Rover Discovery. Stop by our showroom near Fort Washington to see them in person today!